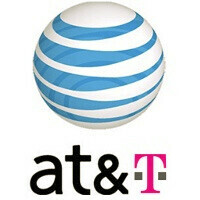 One of the big reasons for AT&T wishing to acquire T-Mobile for $39 billion is network resources. The Deutsche Telekom subsidiary in the US has some juicy spectrum that AT&T could use, but the outright merger met strong headwinds with the government and the public opinion at large. So what's an honest hard-working carrier to do now? Why, pool network assets together, of course, and still take advantage without all those pesky Congress hearings and tons of lawyer hours. WSJ is reporting that such talks for joint use of spectrum are in their initial phase as a backup plan if the deal is to burst at the seams is it seems increasingly likely. Devil is in the details and such a joint-venture has to pass regulators' scrutiny as well, but it will be much easier to justify than a complete buyout. AT&T is reportedly also talking with Leap Wireless to divest some assets and make the government's case for a de facto duopoly if the deal goes through weaker. If that falls apart too, AT&T is looking into shopping the assets to another buyer like Dish, cable companies or overseas telecoms. As an alternative, the carrier might also offer price freezing clauses in order to convince regulators it won't take unfair advantage of its increased influence if a merger gets approved. It's all up in the air now, but one thing seems certain - the AT&T-Mobile marriage is getting postponed, and might be downgraded to an engagement. Completely agree with the last part of that post haha. Hahaha! Did I call this concept or what?! I started posting about sharing resources at least 1 maybe 2 weeks ago. I think this is the way to go for AT&T if they really have a constraint to network growth. The unknown is whether DT wants to play with AT&T this way, as I suspect they want out of the U.S. cellular market. thats an interesting take on it. But unless they spin Tmo USA into a seperate company, would there be a benefit for Tmo europe? I think they are just trying to offload the US company completely. shared spectrum? not what it looks like.. for sure, AT&T prices will go all the way up again if it happens.. If the government was willing to sign 4 million American jobs away with NAFTA, it could approve of the AT&T merger - this is all just a horse and pony show. This is a good idea, but i dont trust ATT. I have a feeling they will find a way to screw us over. This will better benefit TMo custies more than AT&T's. TMo already piggy backs off AT&T alot, now they'll get full resources of a bigger, better network. What do AT&T customers get? Really nothing. Maybe just a little extra spectrum but adding all TMo's subs onto AT&T's network will negate the fact. I like the acquisition better because that way at least half of TMo's customers will flee to other carriers. If they merge, ALL of TMo's subs will jam up our already crowded network. That little bit of spectrum ain't gonna do it for 2 carriers. I don't see the benefit for AT&T. The benefit for TMo is huge, they're basically quadrupling their tiny network. Now I feel it has become more about keeping TMo from Sprint. I know that was the case before as well, but at least there was benefit for AT&T customers, now there's none.